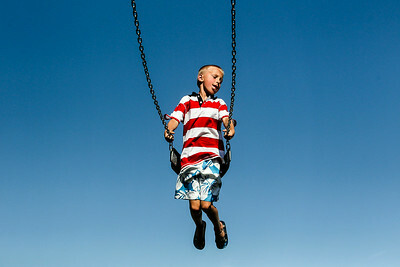 Sarah Nader- snader@shawmedia.com While swinging as high as he could, Xavier Rackliffe, 6, of Lake Villa watches the Wonder Lake Water Ski Show Team perform during an Independence Day celebration at Center Beach in Wonder Lake Friday, July 4, 2014. The celebration featured a flag retirement ceremony, parade, face painting, games, food, an open house at the Wonder Lake Fire Department, the Wonder Lake Water Ski Show Team and ended with fireworks over the lake. 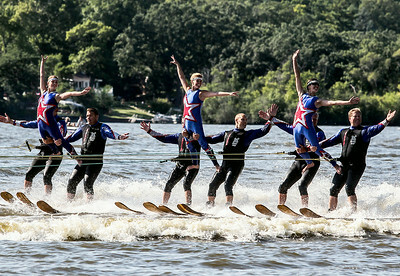 Sarah Nader- snader@shawmedia.com The Wonder Lake Water Ski Show Team performs during an Independence Day celebration at Center Beach in Wonder Lake Friday, July 4, 2014. The celebration featured a flag retirement ceremony, parade, face painting, games, food, an open house at the Wonder Lake Fire Department, the Wonder Lake Water Ski Show Team and ended with fireworks over the lake. Sarah Nader- snader@shawmedia.com Jay Zinnen, 10, of Woodstock plays football with friends during an Independence Day celebration at Center Beach in Wonder Lake Friday, July 4, 2014. The celebration featured a flag retirement ceremony, parade, face painting, games, food, an open house at the Wonder Lake Fire Department, the Wonder Lake Water Ski Show Team and ended with fireworks over the lake. 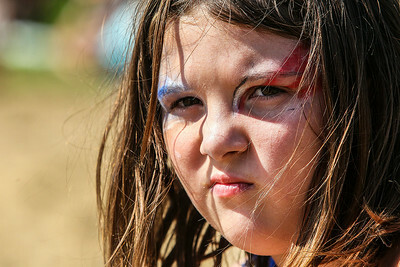 Sarah Nader- snader@shawmedia.com Camilla Stuart, 10, of Wonder Lake watches the Wonder Lake Water Ski Show Team perform during an Independence Day celebration at Center Beach in Wonder Lake Friday, July 4, 2014. The celebration featured a flag retirement ceremony, parade, face painting, games, food, an open house at the Wonder Lake Fire Department, the Wonder Lake Water Ski Show Team and ended with fireworks over the lake. 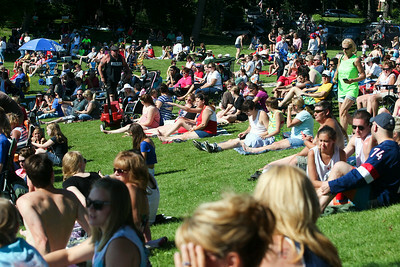 Sarah Nader- snader@shawmedia.com The crowd watches the Wonder Lake Water Ski Show Team perform during an Independence Day celebration at Center Beach in Wonder Lake Friday, July 4, 2014. The celebration featured a flag retirement ceremony, parade, face painting, games, food, an open house at the Wonder Lake Fire Department, the Wonder Lake Water Ski Show Team and ended with fireworks over the lake. 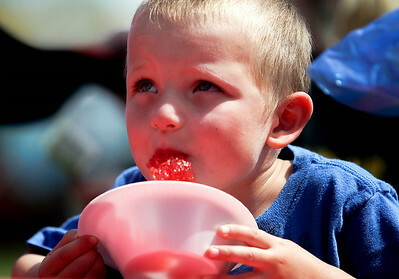 Sarah Nader- snader@shawmedia.com Tyler Beres, 4, of Sugar Grove competes in a watermelon eating contest while attending an Independence Day celebration at Horse Fair Park in Spring Grove Friday, July 4, 2014. 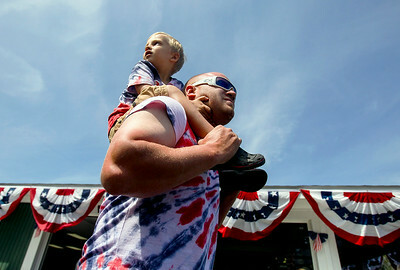 The celebration featured a parade, food from local establishments, kids games, a petting zoo, music, organized games and a place to view the fireworks at dusk. 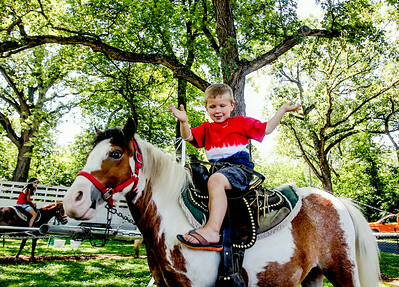 Sarah Nader- snader@shawmedia.com Jonathan Cygan, 4, of Spring Grove waves to family while riding a pony during an Independence Day celebration at Horse Fair Park in Spring Grove Friday, July 4, 2014. The celebration featured a parade, food from local establishments, kids games, a petting zoo, music, organized games and a place to view the fireworks at dusk. Sarah Nader- snader@shawmedia.com Steve Flinn of Lake Geneva looks over at a sheep while attending an Independence Day celebration at Horse Fair Park in Spring Grove Friday, July 4, 2014. The celebration featured a parade, food from local establishments, kids games, a petting zoo, music, organized games and a place to view the fireworks at dusk. Sarah Nader- snader@shawmedia.com Grace Jansen (left), 7, of Crystal Lake dances with her cousin, Lily Woods, 7, of Spring Grove while attending an Independence Day celebration at Horse Fair Park in Spring Grove Friday, July 4, 2014. The celebration featured a parade, food from local establishments, kids games, a petting zoo, music, organized games and a place to view the fireworks at dusk. 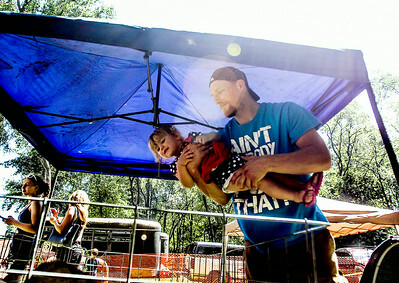 Sarah Nader- snader@shawmedia.com Brandon Stollings of Lake Villa carries his son, Jace, 4, while attending an Independence Day celebration at Horse Fair Park in Spring Grove Friday, July 4, 2014. The celebration featured a parade, food from local establishments, kids games, a petting zoo, music, organized games and a place to view the fireworks at dusk. 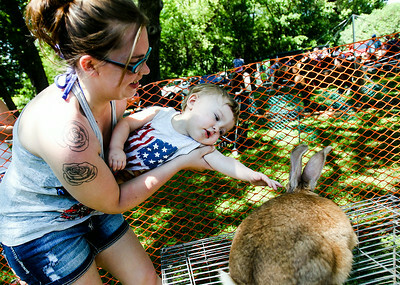 Sarah Nader- snader@shawmedia.com Lynzi Nevitt of Spring Grove holds on to her son, Jaxson, 1, while a pet an animal at the 4-H petting zoo during an Independence Day celebration at Horse Fair Park in Spring Grove Friday, July 4, 2014. The celebration featured a parade, food from local establishments, kids games, a petting zoo, music, organized games and a place to view the fireworks at dusk. 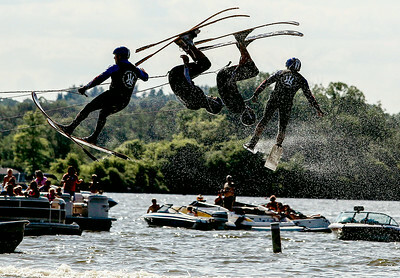 The Wonder Lake Water Ski Show Team performs during an Independence Day celebration at Center Beach in Wonder Lake Friday, July 4, 2014. The celebration featured a flag retirement ceremony, parade, face painting, games, food, an open house at the Wonder Lake Fire Department, the Wonder Lake Water Ski Show Team and ended with fireworks over the lake.